Every footballer wants stronger legs, but for amateur players – there’s only so much time we can devote to squats, dead lifts and calf raises. Thankfully, Mizuno have a solution for time-strapped players in their new training shoe, the ‘Be’. It sounds too good to be true; a training shoe that you can wear around the house/to the shops/at the gym, that strengthens the muscles in your legs and feet without requiring any extra (conscious) effort on your part. 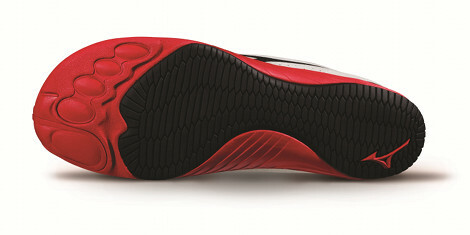 Oh, and the the shoe doesn’t look too bad either. But that’s exactly what the Mizuno Be claims to be. 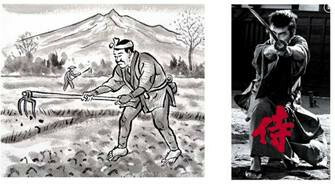 And if you’re sceptical, we were too – but the Japanese brand make quite a compelling argument. The Be takes inspiration from the old Waraji sandals that were worn by the samurai class and foot soldiers during the feudal era of Japan. Fascinated by why the Waraji were shorter than the feet of those wearing them, Mizuno conducted a series of biomechanical tests to determine the benefits of the toes protruding slightly over the front edge of the sandal. Now, whilst Mizuno might not be able to compete with the star power of adidas and Nike, when it comes to biomechanics – Mizuno are one of the world leaders, which is why their running shoes are some of the finest on the market. In the lab, Mizuno confirmed that protruding toes aids to stabilise the body, and the toes and the muscles of the feet and lower legs were more mobile when walking barefoot and even more ‘activated’ when wearing the sandals. 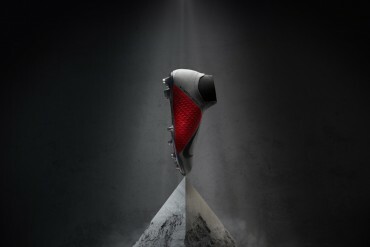 Now, that term – ‘activation’ – is something you can expect to hear more of when the Be is mentioned, as Mizuno say that this is the first ever activation shoe. Defined as definitely not a running shoe, the Be is designed to activate muscle groups that have lapsed into under-use by modern shoes. The sockliner in the Be is designed with a unique ‘step’ under the toes. Whereas the toes are normally fully supported by most running shoes, encouraging the toes to be able to move in both directions strengthens the muscles in and around them. Given how more and more football boots talk about ‘off the toe’ acceleration in their design brief, this should be of particular interest to quick, agile players. Not ‘slapping’ your feet to the floor when you walk is a sign of good muscle strength in the legs, and given our shared love of football, it’s safe to say most of our readers won’t do it. But the Mizuno Be’s heel is more rounded than a conventional trainer, essentially making it harder for you to not slap when you walk. Your body will automatically try to correct this, strengthening the muscles around your arch, heel and calf to compensate for the shoe. If you were to pick up a pair of the Mizuno Be, the first thing you’d likely notice is how flexible and light the shoe it is – and this actually brings another benefit. 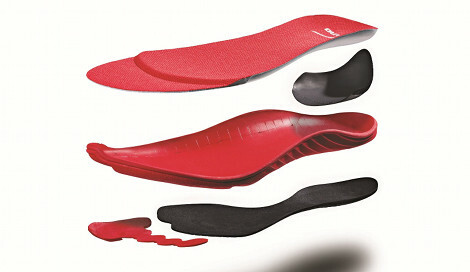 The lack of a heel cup on the Be causes your muscles to perform more ‘eccentric’ muscle work – which stabilises the heel. In particular, the flexor hallucis longus (FHL) tendon has to work much harder to do the same amount of work – and by helping this muscle, Mizuno say you can look forward to higher jumps and more efficient propulsion. What’s refreshing in comparison to the ‘Everyone can get fit!’ enthusiasm of stuff like the Reebok Easytone, is that Mizuno will be the first to tell you: This shoe is not for everyone. Cyclists and swimmers will not get a benefit from training in this shoe, and the Japanese brand also recommend against doing any serious distance running (5km+) in them. 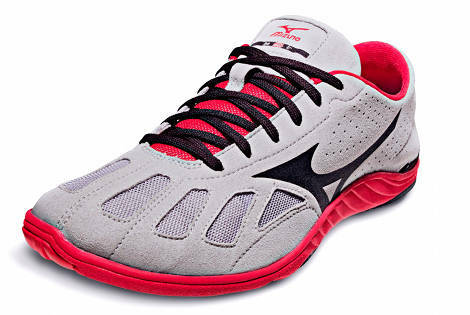 Instead, the Mizuno Be is for people who are either looking for a gateway shoe to barefoot running or improving their leg strength for their chosen sport. Having spent an afternoon ambling about in the Mizuno Be, many experienced runners and running bloggers commented at how unique the shoe felt, and how it left their calves and feet aching like they’d just done a workout, we were certainly impressed at the reaction the Mizuno Be seemed to be getting. And given how lightweight and minimalistic most ‘speed’ boots are getting, could having feet which are more used to a minimalist shoe help lead to less injuries? We’d certainly like to see them put to the test in this context! I love it… Where can I buy the white-red?? I bought the Mizuno BE three months ago. No one told me this was not a shoe for running. I have only run trail before , never on road. With this shoe I have run 2 halfmaratons and 3 x 10K in three months. No problem at all, except aking legs the first 2 months. 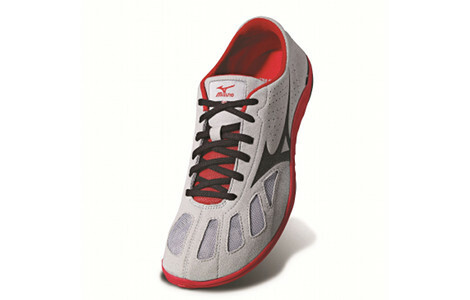 For me they work as a long distance running shoe and they are much more comfortable than my Merrel ascend glove.